The 20 26 Delicious St. Patrick’s Day Recipes is brought to you by Just Plum Crazy. 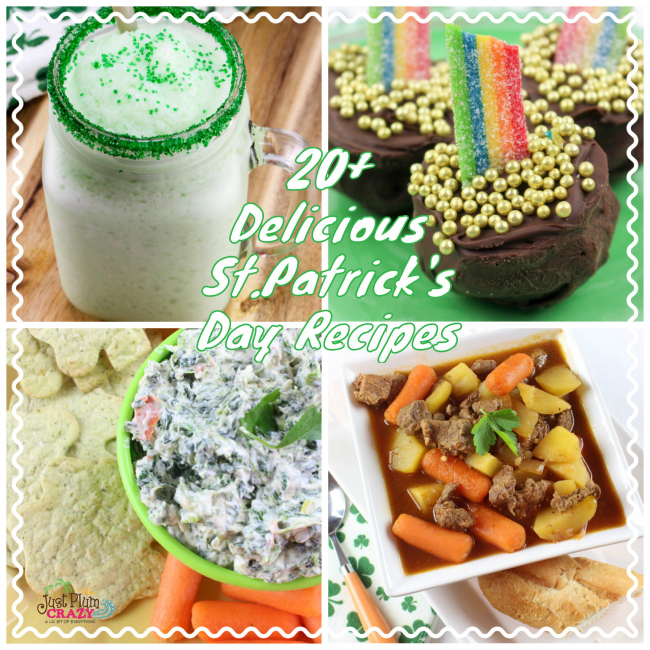 20 26 Delicious St. Patrick’s Day Recipes! 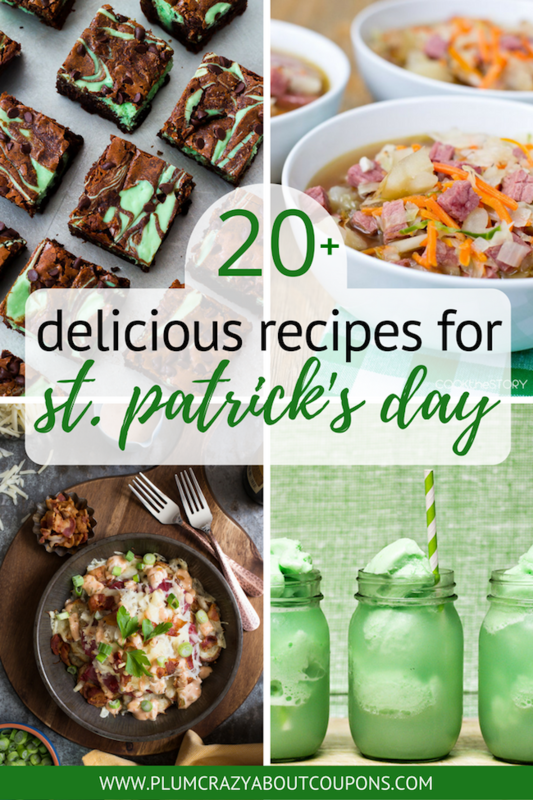 With St. Patrick’s Day just a couple days away, we have put together a list of 20 Delicious St. Patrick’s Day Recipes. 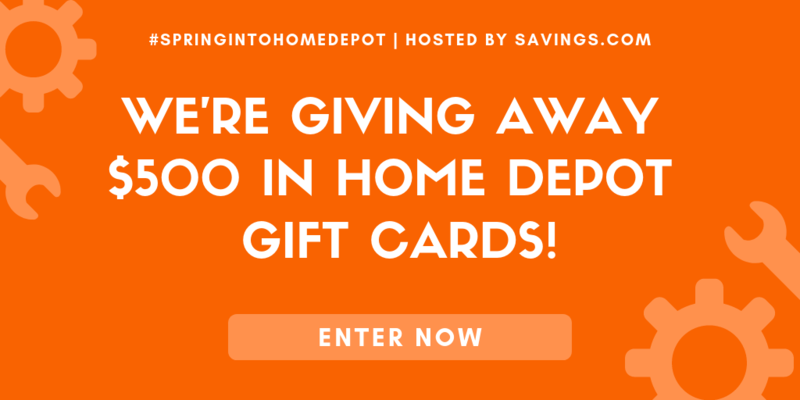 This gives you quite a few to choose from for St. Patrick’s Day party, get together, office party or just for your family. 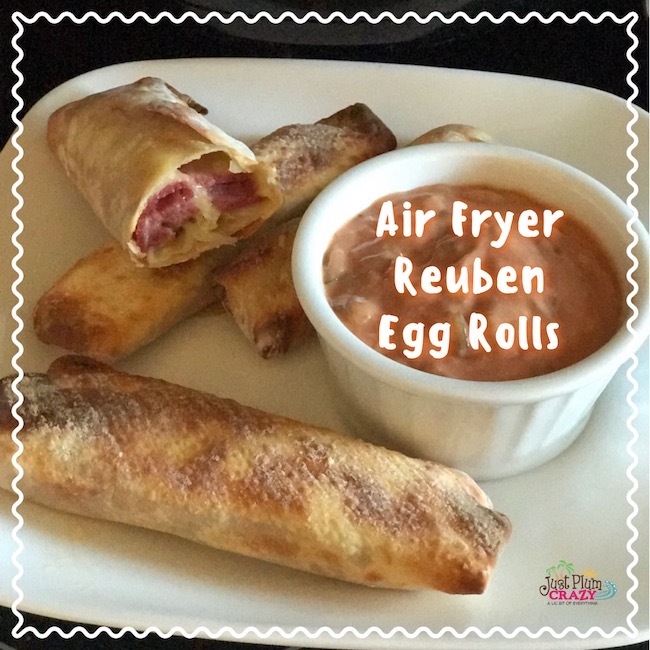 Air Fryer Reuben Egg Rolls – A simple twist on a family favorite done in the air fryer from Just Plum Crazy. 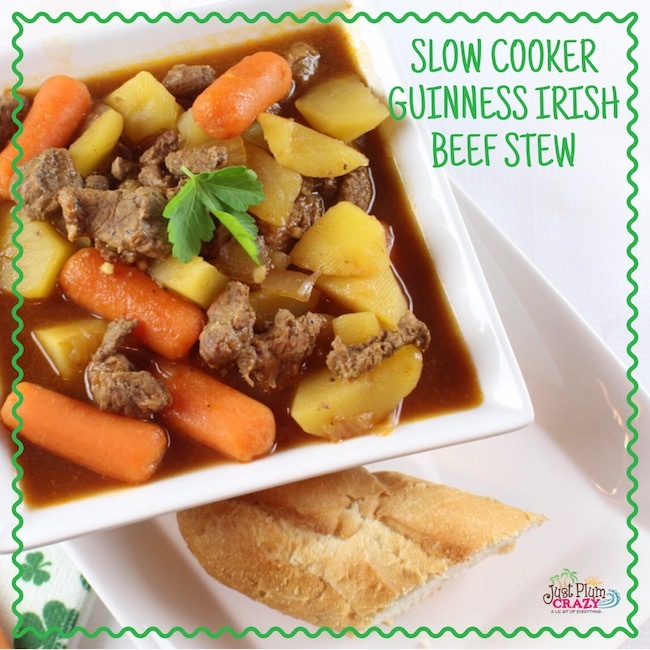 Slow Cooker Guinness Irish Beef Stew – A hearty beef stew made with Guinness from Just Plum Crazy. 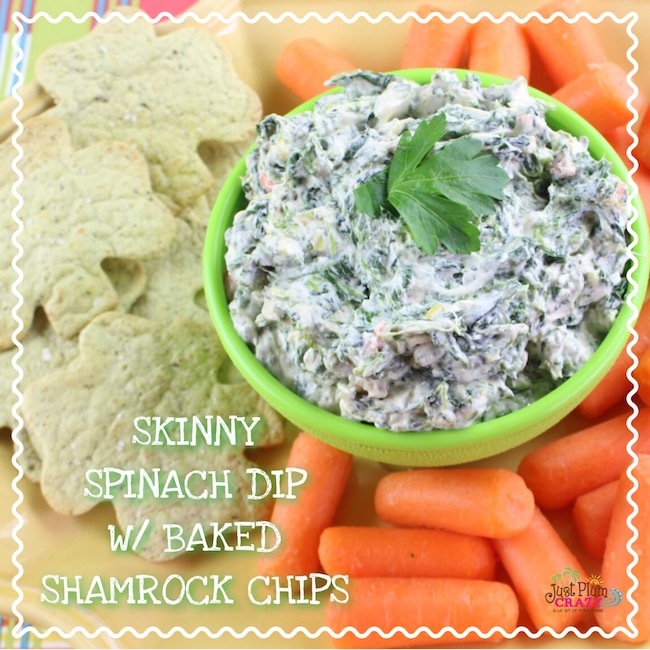 Skinny Spinach Dip with Baked Shamrock Chips – Saving some calories with spinach dip and baked chips from Just Plum Crazy. 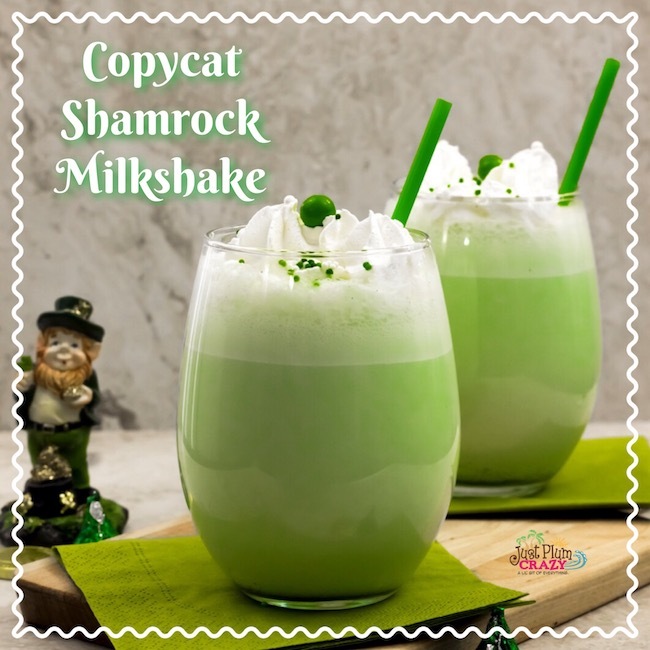 Copycat Shamrock Milkshake Recipe – A homemade copycat version of your favorite shamrock milkshake from Just Plum Crazy. 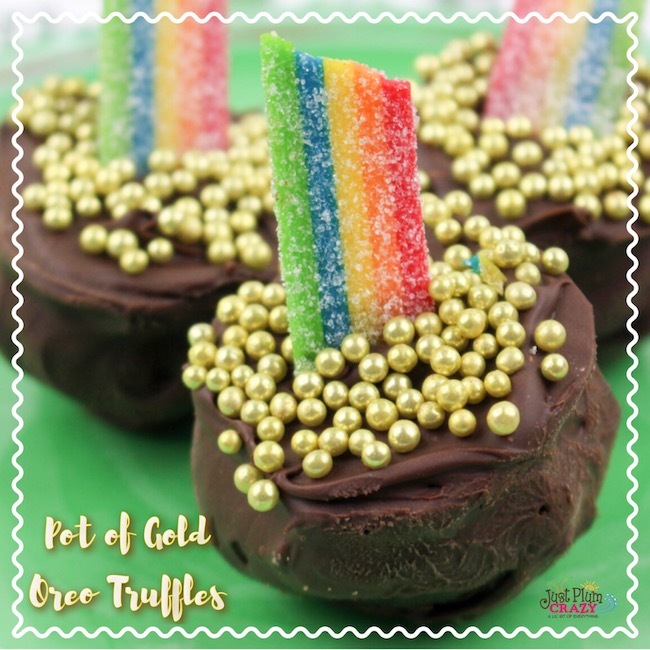 Pot Of Gold Oreo Truffles Recipe – A fun recipe for the office, home or school from Just Plum Crazy. 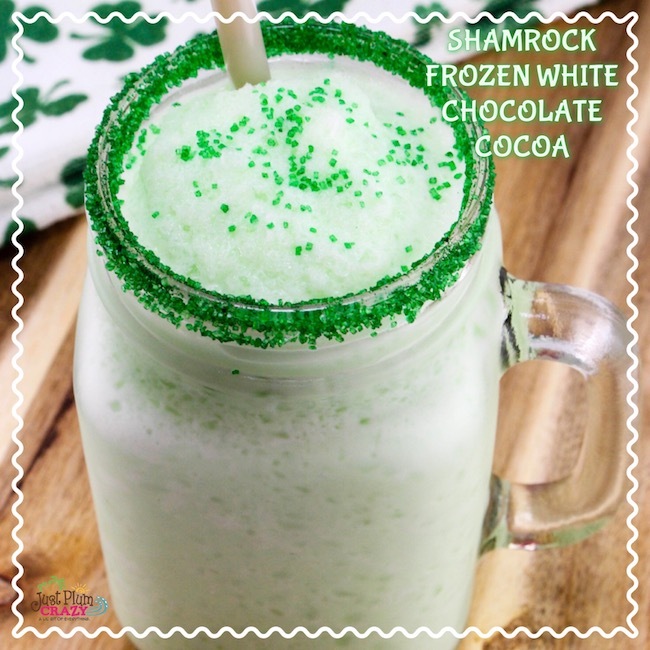 Shamrock Frozen White Chocolate Cocoa Recipe – A frozen white chocolate green beverage from Just Plum Crazy. 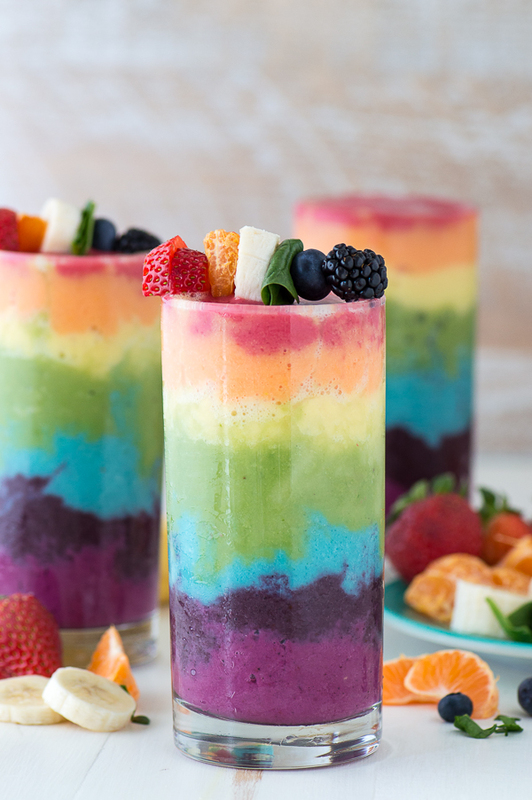 Rainbow Smoothie – A beautiful 7 layer smoothie from The First Year Blog. 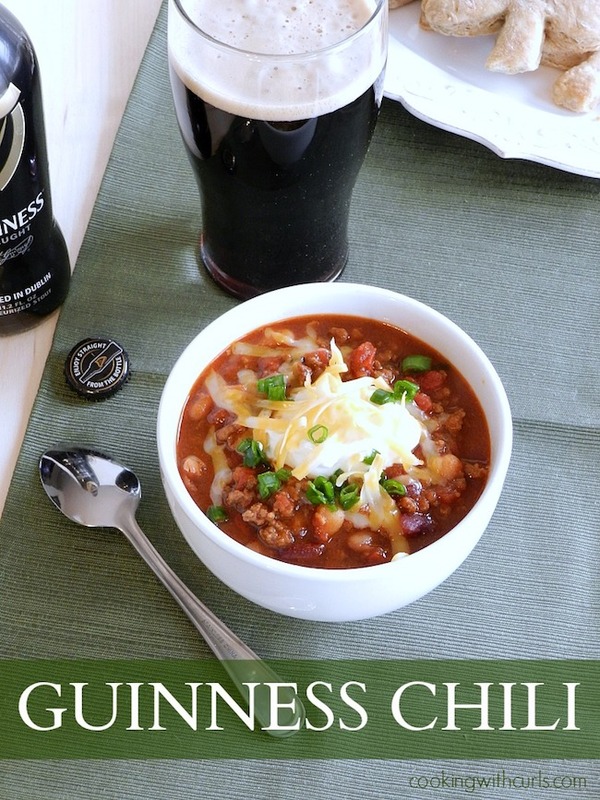 Guinness Chili – A mild, non spicy chili perfect for cold snowy days from Cooking with Curls. 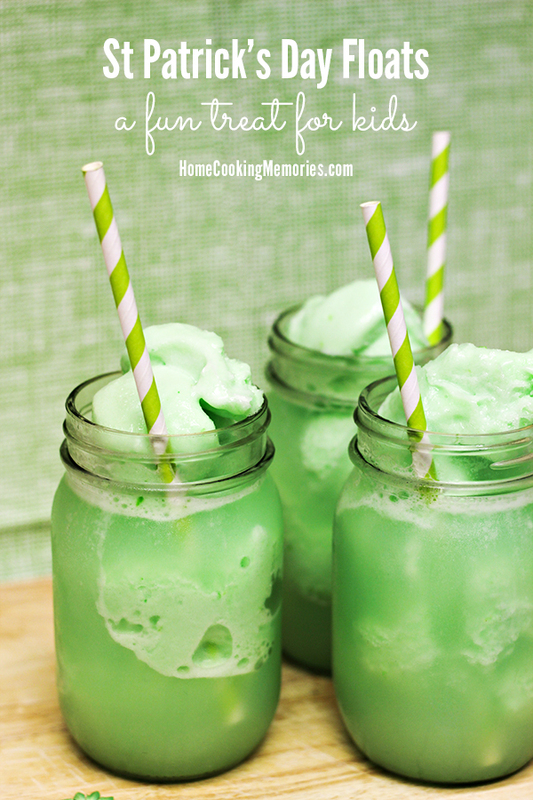 Lime Sherbet Floats – A quick and easy lime sherbert float from Home Cooking Memories. 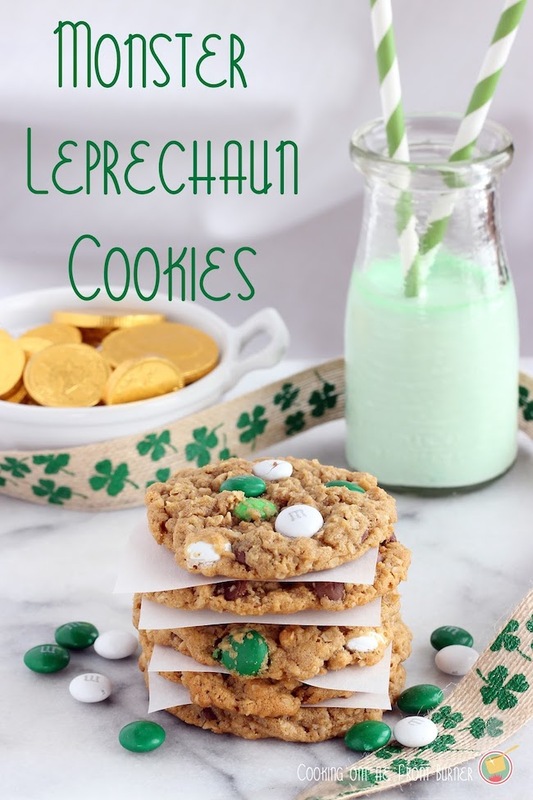 Monster Leprechaun Cookies – Soft, chewy and bursting with flavor from Cooking on the Front Burner. 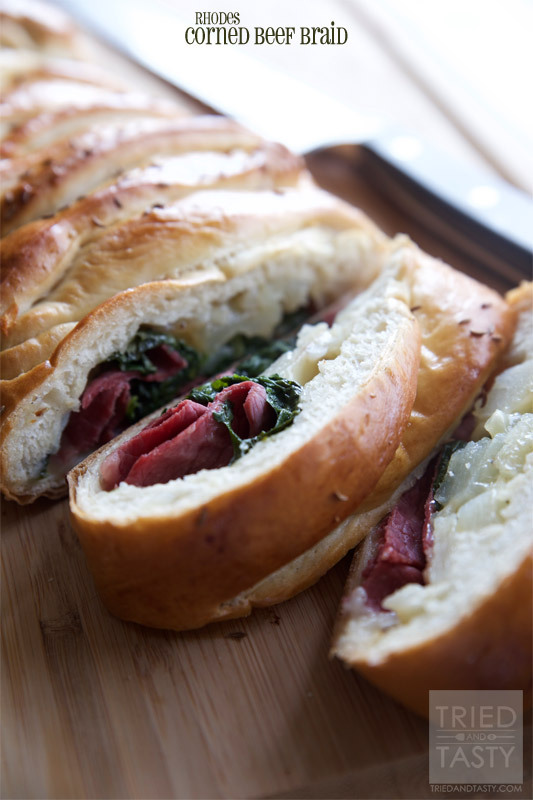 Corned Beef Braid – A festive lunch or dinner from Tried and Tasty. 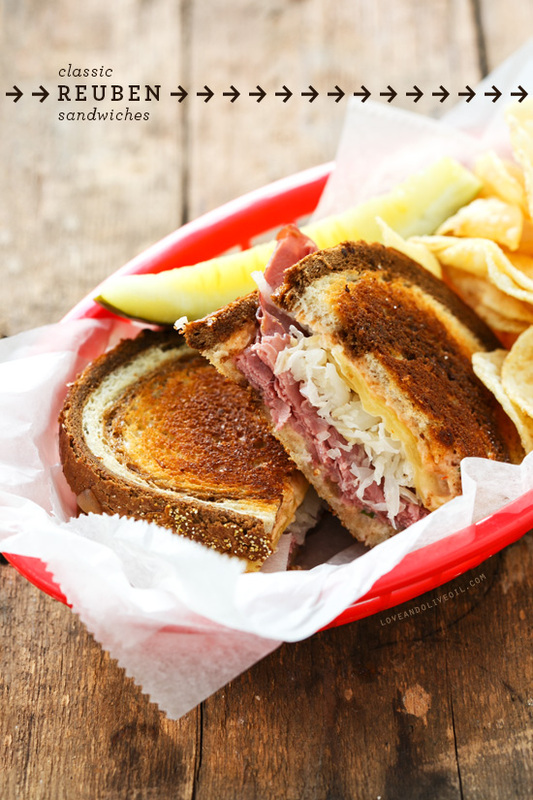 Classic Reuben Sandwiches – A classic Reuben sandwich made with marbled rye bread from Love & Olive Oil. 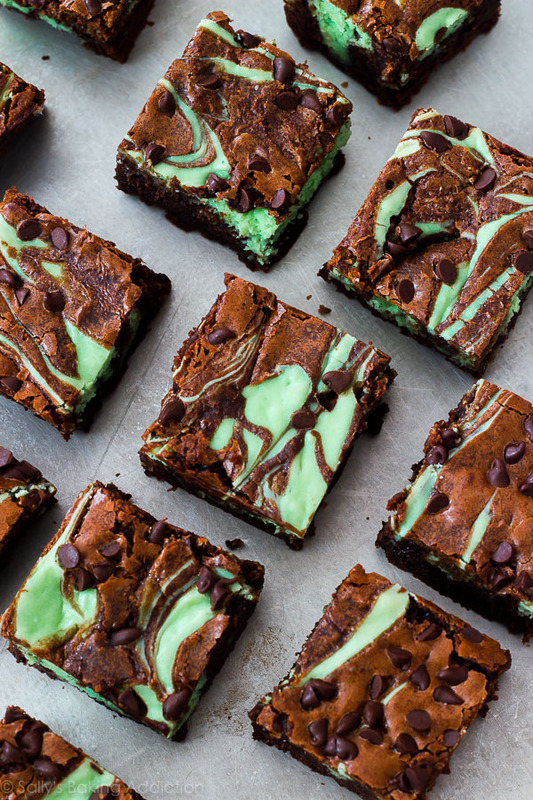 Mint Chocolate Chip Cheesecake Brownies – A mint, chocolate brownie from Sally’s Baking Addiction. 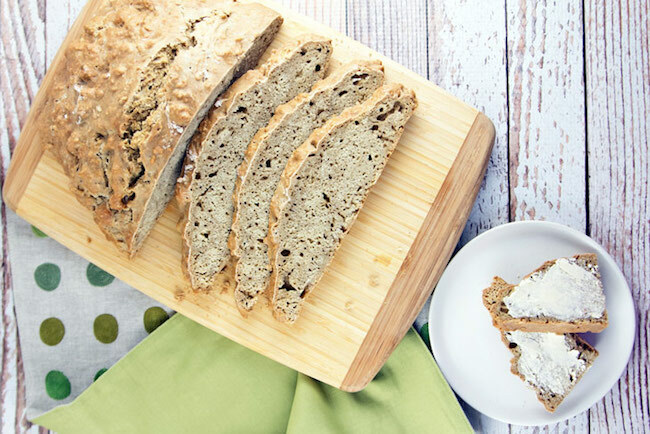 Guinness Irish Soda Bread – A double dose of Irish in a Guinness Irish Soda Bread from Bunsen Burner Bakery. 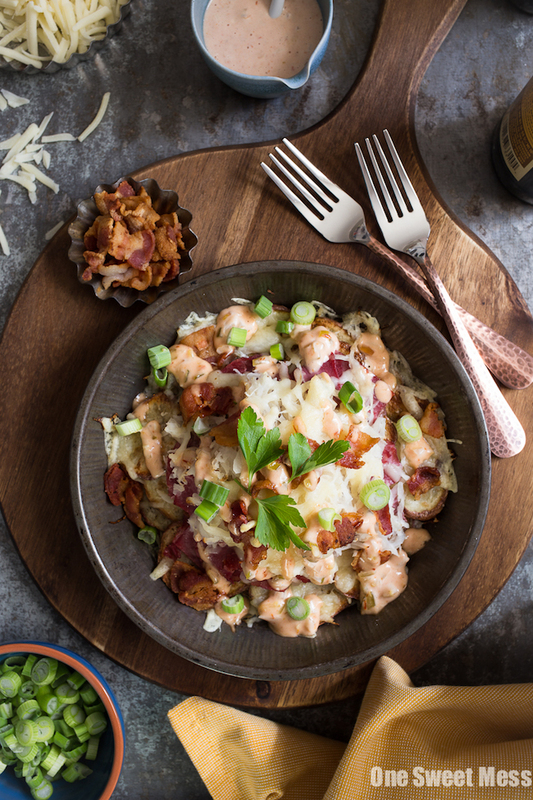 Reuben Irish Nachos – A different way to get your Reuben on from One Sweet Mess. 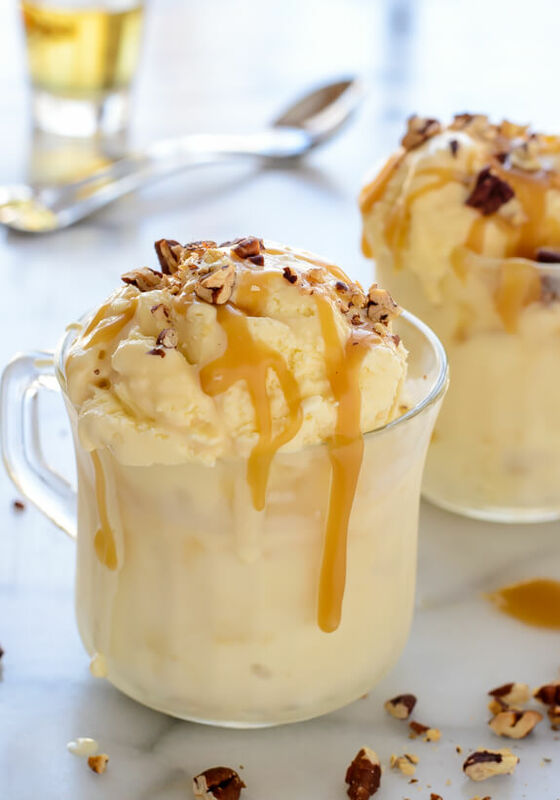 Irish Whiskey Ice Cream with Salted Caramel – Because you can’t have dinner without dessert from Well Plated. 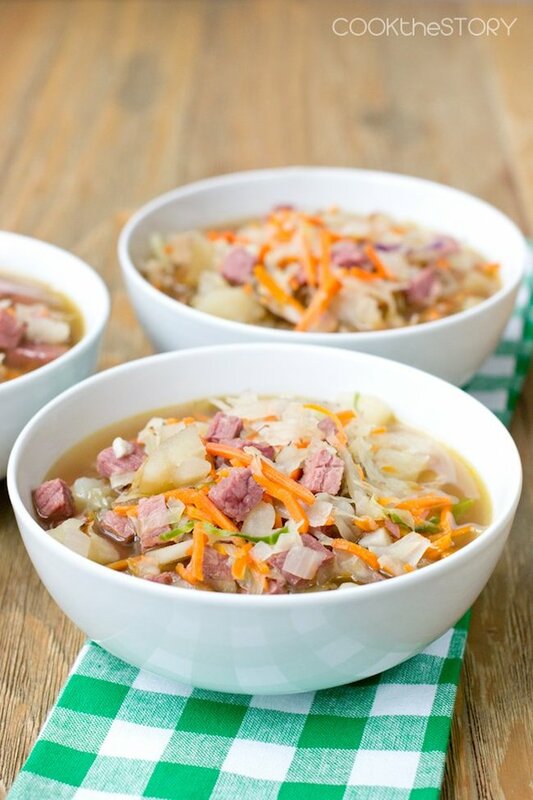 Corned Beef and Cabbage Soup – All the flavors of Corned Beef and Cabbage in a soup from Cook the Story. 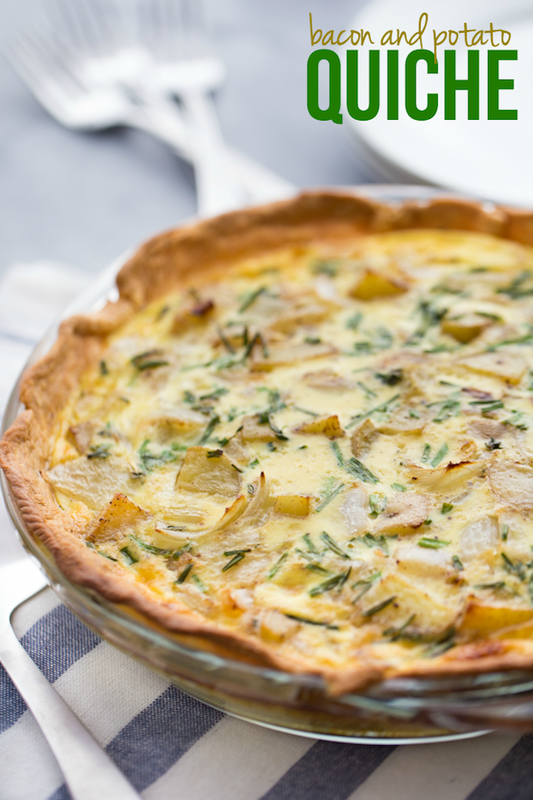 Bacon and Potato Quiche – A simple brunch recipe from Simply Stacie. 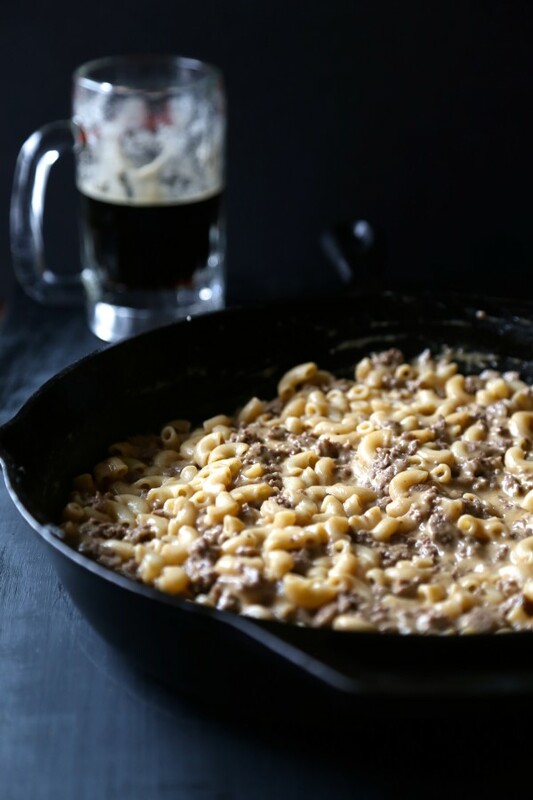 Guinness Beef Skillet Mac & Cheese – Get your Guinness fill with Guinness Beef Skillet Mac & Cheese from Climbing Grier Mountain. 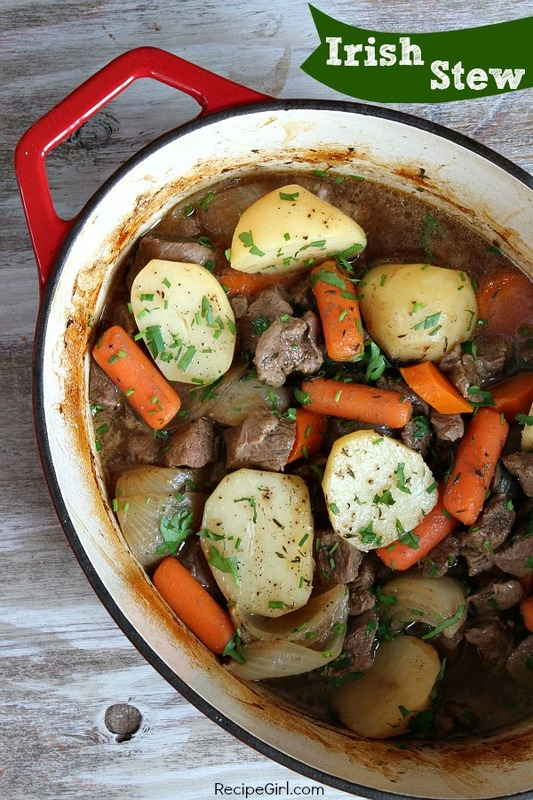 Irish Stew – A good old fashioned Irish Stew from Recipe Girl. 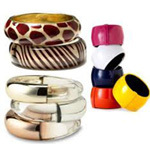 And here are a couple extra for good luck!